You are buying the Simplus Full Face Mask Seal Medium Fisher & Paykel 400HC580, manufactured by Fisher & Paykel. 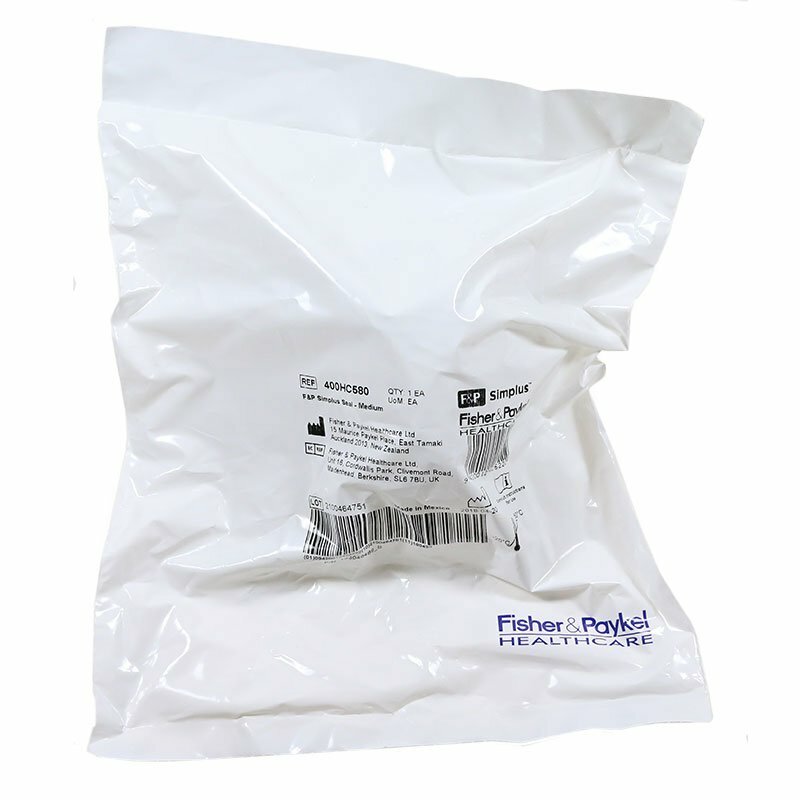 Fisher & Paykel is a leading manufacturer of CPAP machines and CPAP accessories. At ADW Diabetes, we do offer the complete product line by Fisher & Paykel at discounted pricing. This Fisher and Paykel Simplus Full Face Mask Seal is a replacement part made specifically for the Simplus Full Face CPAP nasal mask. Designed to keep you comfortable during a sleep apnea treatment, this CPAP device boasts a RollFit seal that helps to ease facial pressure and minimize leakage. Another unique feature of the design is the auto-adjusting seal the cushion creates on the bridge of the nose, which helps to provide an extra secure fit. The seal is available in three sizes to provide an exceptionally comfortable fit on a wide variety of different face sizes and shapes. This product is size medium. The package contains 1 medium-sized replacement CPAP nasal mask seal. CPAP mask not included. I've tried five masks since I started using a CPAP machine in early May. None was perfect but this was the best one for me. It works best when used with an attached cloth pad that cost about $25 for a month's supply. Good luck with whatever you choose. I've found the adjustment to wearing a mask every night difficult but the health benefits are worth it.